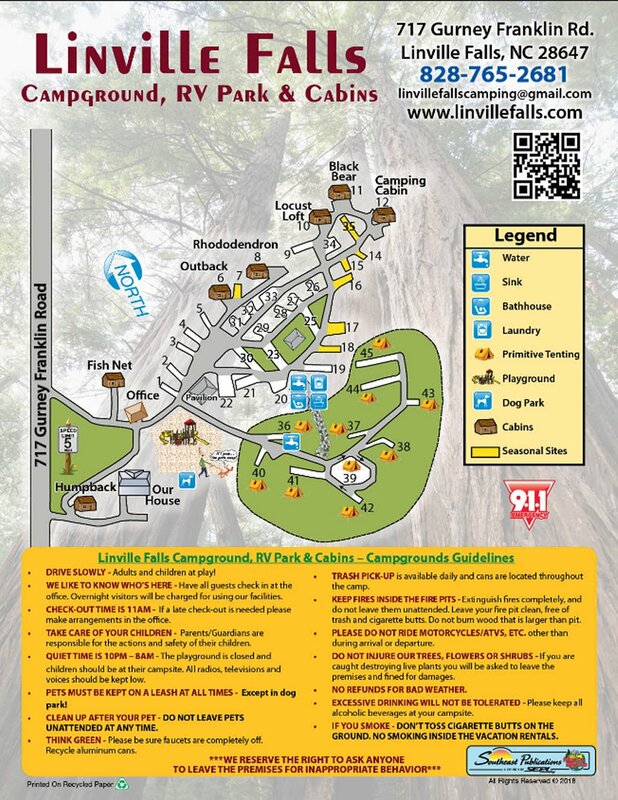 Linville Falls Campground, RV Park & Log Cabin Rentals located in Western North Carolina, just off the Blue Ridge Parkway at junction of US 221, is shaded by a cool forest of stately oaks. 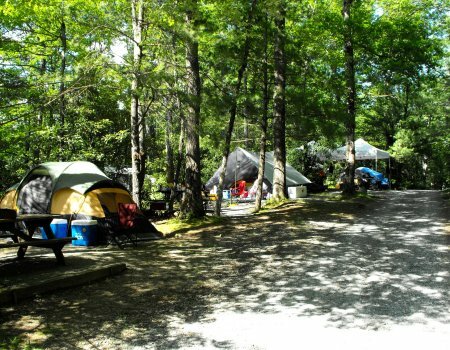 This privately owned campground has full hook-up sites, water/electric sites and a secluded, primitive tent area. 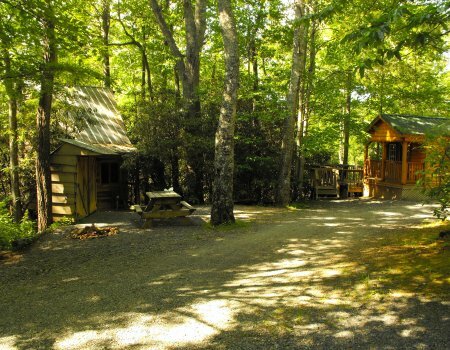 Surrounded by mountain laurel and rhododendron, each site is equipped with a grill, fire ring and picnic table. 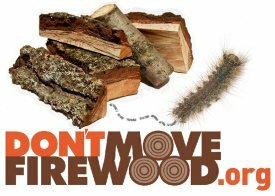 Log Cabin and trailer rentals are very popular. 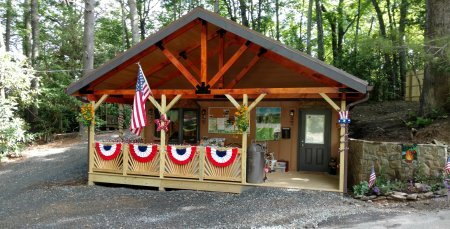 No two cabins are alike, come find the one that fits your taste. 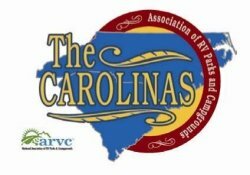 We are minutes from the area’s most spectacular attractions, including Linville Falls & Gorge, Wiseman’s View, Grandfather Mountain, Linville Caverns and Gem Mountain. Several hiking and biking trails are also nearby. Guests will enjoy the natural ambiance, away from traffic, noisy cities and busy lives. 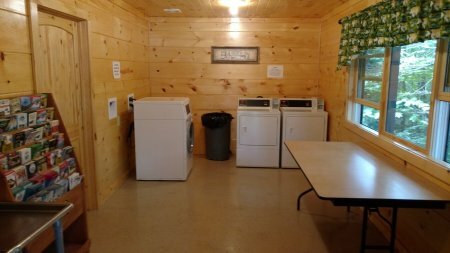 For your convenience, there are modern rest rooms with clean, hot showers; a camp store; laundry facilities and a playground for the kids. 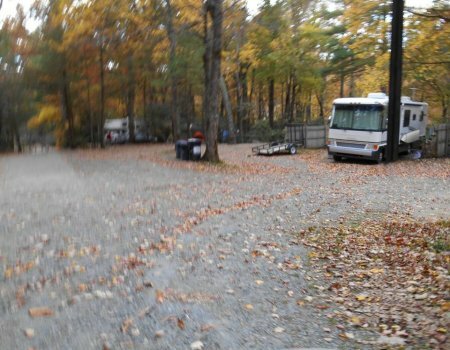 We think you’ll find the Linville Falls Campground, RV Park & Cabins a unique and comfortable camping experience. Hope to see you this season! 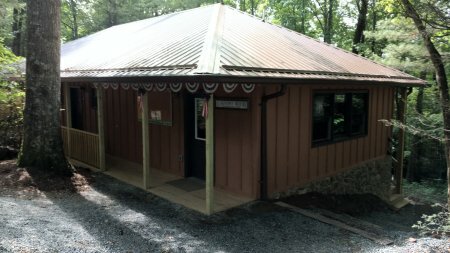 LINVILLE FALLS COMMUNITYThe Linville Falls Community offers great family dining, restaurants, a church for all faiths, U.S. Post Office, gifts, groceries and camping supplies. Nearby hiking trails for both the fit and physically challenged offer magnificent views of the Blue Ridge Mountains and Linville Gorge. If you’re a fisherman, bring your tackle box. Both native and stock trout are in abundance! 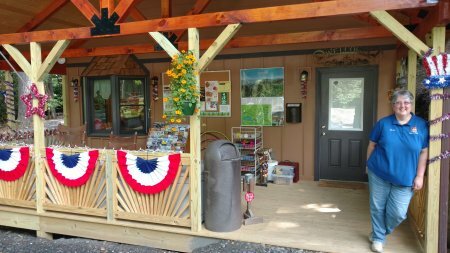 Congratulations on Linville Falls Campground being selected by RoverPass as one of the top 10 dog-friendly campgrounds in 2017! You were chosen by our staff and users after reviewing hundreds of our most popular listings.